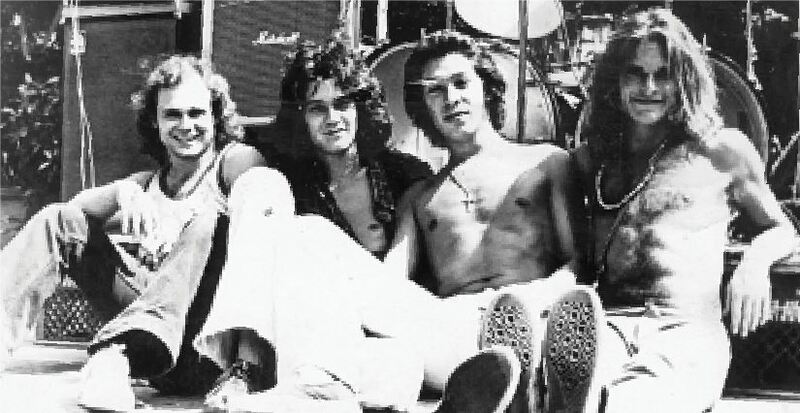 Former Pasadena City College students (from left) Michael Anthony, Eddie Van Halen, Alex Van Halen and David Lee Roth, in an uncredited 1975 photo, went on to become Rock and Roll Hall of Famers with the band Van Halen. Author Greg Renoff will discuss “Van Halen’s Beginnings in Our Own Backyard” this Saturday, April 29, at PCC as part of the college’s Hometown Legends Series. Although Van Halen isn’t coming back to town any time soon, fans of the Rock and Roll Hall of Fame band will be in for a treat as biographer Greg Renoff will speak about the band’s early years here in the San Gabriel Valley, their legendary exploits and how the group really made it big. The two-hour event, titled “Van Halen’s Beginnings in Our Own Backyard,” will be held this Saturday, April 29, at 2 p.m. at Pasadena City College’s Westerbeck Hall. The event is part of the Hometown Legends Series, which is sponsored by the PCC Foundation. Renoff, a historian and college professor, recently wrote “Van Halen Rising: How a Southern California Backyard Party Band Saved Heavy Metal,” to chronicle how the band came together in the early 1970s and sold 2 million copies of its debut album by the decade’s end. Renoff said it is fitting that the PCC Foundation invited him to give this talk because the college is where the band got its start. Bobbi Abram, the PCC Foundation executive director, said the first performance of the band Mammoth, which was one of the precursors to Van Halen, performed in the early 1970s on the Sexson Auditorium stage at PCC and that band members David Lee Roth and Eddie Van Halen met in a class on musical scoring and arranging. Renoff said his biography is unauthorized, and while he reached out to all four original band members for interviews, the lone Van Halen musician who would talk to him is bassist Michael Anthony, who graduated from Arcadia High School before joining Van Halen. Even though it is unauthorized, Renoff said he doesn’t think that makes the work any less important or uninteresting. So where did a college professor of 19th century history with a doctorate from Brandeis University get the idea for a book on the early years of Van Halen? He added he also needed a break from academics a few years back while teaching at a small Midwestern university when he had the idea for chronicling a band that, while having a rich history, not much had been written about it. “I would still, on occasion, pull out my old magazines and would see them talking about these backyard parties and wet T-shirt contests and playing places like the Whiskey,” Renoff said. “They talk about meeting Gene Simmons of Kiss and how they got discovered. It seemed like there were years where Van Halen was playing and was famous in California, but nowhere else. Van Halen’s exploits had apparently been legendary — though not well documented — causing Renoff to do his research. What he discovered was that the legends were rather well-founded. 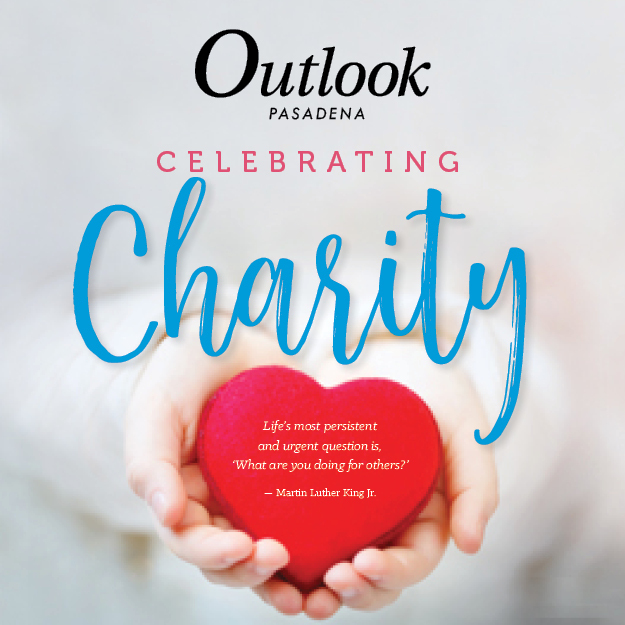 “There had been all these stories about year-round backyard parties and 1,000 kids would show up and they paid a dollar,” said Renoff, who added one such party was at a house on the corner of Madre Street and Huntington Drive at the edge of east Pasadena. “Low and behold, I did some research … I’d read (a newspaper story) police broke up a 1,000-person party in 1974! Before attending PCC, brothers Eddie and Alex Van Halen went to Pasadena High School, front man David Lee Roth graduated from John Muir High School, while Anthony attended Arcadia High, Renoff said. He added that while Roth was very different from the other band members, it helped lead to their early success. But it also led to the band’s demise in the mid-’80s. That creative spark eventually created the hit album “1984” six years later. As that album also sold more than 10 million copies, it meant that Van Halen — the little band out of Pasadena — became one of a handful of bands to sell more than 10 million copies of two different albums, Renoff said. 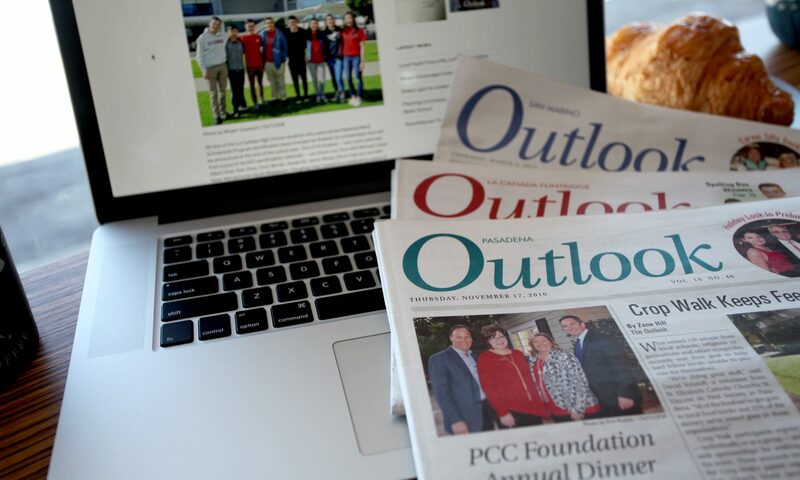 And as Renoff gets ready for Saturday’s talk, Abram said she is looking forward to hearing more stories about the four boys from PCC. For more information, call (626) 585-7039 or email Ode Kara-Simonyan at oxkarasimonyan@pasadena.edu.